Green Comotion: Recycling Jar Lid! Behold the power of the homemade small parts holder (tool dish). You can put your little Allen bolts and such in the tool dish. 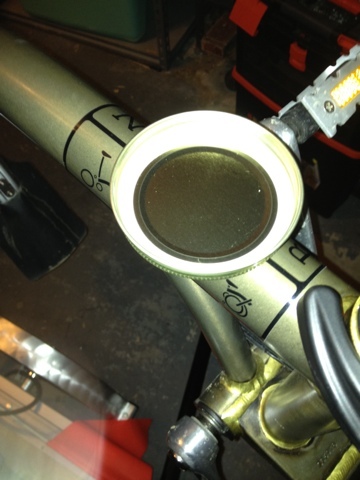 If you are lucky, it might even stick to your repair stand! Cost: about 25 cents (the price of 1 piece of magnet). The stronger the magnet and possibly the higher number of magnets used, the better the stability of the tool dish, when placed on a metallic surface. I might put another magnet on mine.